This laminated door hanger is the perfect way to capture anyone's attention. 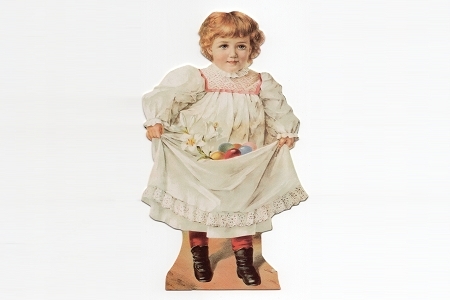 Whether you're going in or out, our Victorian Knob Hanger will help get your message across. Let your doors do the talking! 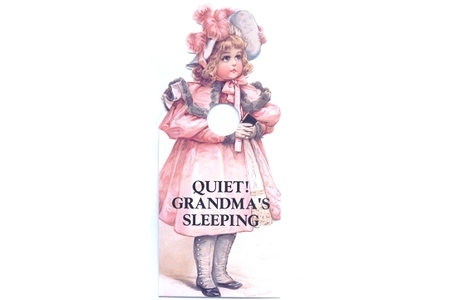 At about 5-5/8 inches wide and 10-7/8 inches tall, this sweet little one is protecting the privacy of your little angel as s/he sleeps. Perfect for any baby's or child's door (even if it's a baby kitty)!